Probate real estate is different in many ways from traditional real estate transactions. Make sure you ask pertinent questions that can help you understand the process. Specialized knowledge and years of experience are important to look for as you interview real estate agents. What is your experience selling real property through probate? Although there may be just one executor there may be siblings involved. Has your agent ever had to deal with multiple personalities to get the sale approved? There is no substitute for experience. Be sure to ask if the agent is new or seasoned. Does a probate sale differ from a typical real estate transaction? 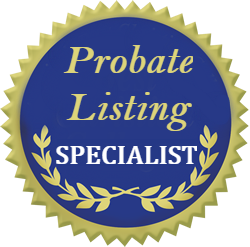 If your agent has done probate sales then they have experience with legal professionals and the sales process. Your agent should have a good working arrangement with probate attorneys, paralegals and administrative staff. Ask for references. A confident and capable agent is going to be a better negotiator for you than a newcomer. Confidence comes from experience, knowledge, good marketing and communication. Having a capable agent is very important in helping you through a tough situation. References should be readily available. Google the name of the agent you are talking to and learn about them. Be sure to ask questions of your agent. There is a lot of paperwork involved in a real estate transaction and you want to be reassured that your agent has your best interests at heart. According to the PROBATE COURT USER GUIDE, ADMINISTRATION OF DECEDENTS’ ESTATES, published by the OFFICE OF THE PROBATE COURT ADMINISTRATOR, STATE OF CONNECTICUT, all estates must file an Estate Tax Return in the Probate Court within six (6) months of death. Forms for Probate Court matters are available online at www.ctprobate.gov . Click on “Forms.” Forms are also available at the Probate Courts. The PROBATE COURT USER GUIDE includes steps that outline the major responsibilities of the fiduciary in settling a decedent’s estate. The outline is not intended to be all-inclusive and cover every situation. Fiduciaries of some estates may have additional responsibilities, depending on individual circumstances. Step 3: If the decedent owned real estate, file Notice for Land Records/Appointment of Fiduciary, PC-251, within two months of appointment as fiduciary. Step 5: Obtain cash for estate administration as needed. The fiduciary should anticipate the cash needs of the estate to pay for administration expenses, taxes, claims and bequests. He or she has the authority to convert into cash any personal property not specifically bequeathed but must obtain permission from the Probate Court to sell, mortgage or otherwise convey real estate, unless specifically authorized to do so under the terms of the will. Step 7: File tax returns and pay applicable taxes. Taxes payable as a result of death include the federal estate tax, which is reported to the federal government on federal Form 706, and the Connecticut estate and gift tax, which is reported to Connecticut on Form CT-706/709. The PROBATE COURT USER GUIDE at http://www.ctprobate.gov/Pages/TrustsEstates.aspx also has a list of frequently asked questions, one of which asks if an attorney is required. While not required, it is often advisable for the executor or administrator to consider seeking professional assistance in connection with settling an estate, particularly when preparing tax returns, dealing with substantial or unusual assets or in the event of a dispute among the parties. The above information is not legal advice and is solely provided for educational purposes. It is a summary of information provided by the OFFICE OF THE PROBATE COURT ADMINISTRATOR, STATE OF CONNECTICUT.